One of Australasia’s leading small-middle market executive search and recruitment firms. We recently engaged our network to ask for their help in compiling a list of their favourite interview questions to ask candidates. We were very grateful for the variety of responses we received. Indeed the questions our network sent in resembled a spaghetti western movie – the good, the bad and the downright weird! By using open questions the interviewer is given time to assess and measure the candidate’s response. Invariably, the way in which the candidate responds can tell us more about the candidate than the answer they have given. So, after some real deliberation we have compiled what we believe to be a list of questions that will help you identify the best candidates. The questions are designed to elicit an emotional response from the candidate and really test their ability to think quickly, demonstrate their level of self awareness and identify their true qualities and behaviours. With each question we have supplied a few guidelines as to the types of behaviours and personal qualities the question is specifically trying to uncover. As always, we would love your feedback. We have also put in one or two of the weird and wonderful questions for your amusement. 1. What questions do you have for me? This is a great question to ask up front as you can find out exactly how much research someone has actually done prior to the interview. 2. If we are here a year from now reflecting on and celebrating what a great year it’s been for you in this role, what did we achieve together? The question helps gauge a candidate’s understanding of the challenges and expectations in the role as well as how much value they actually think they can contribute. Look out for hesitancy, over estimating what can be accomplished and unrealistic expectations on behalf of the candidate. 3. What is the biggest mistake you have made in your professional career? How did you correct the situation? What did you learn from the experience? 4. What is the biggest contribution you have made in your current job and why? 5. What is the most difficult relationship you have had to deal with in the workplace? How did you manage or improve the relationship? 6. What is the worst behaviour you have seen displayed by a manager or colleague and how did you handle the situation? This question is designed to gain an insight into the candidate’s values, the question uncovers values or behaviours they can’t tolerate or which require the candidate to take a moral stance. 7. What five SINGLE words (not phrases) best describe you? The question forces candidates to think on their feet. You will be amazed at how many people are unable to give you five single words to describe themselves. 8. What is the biggest disappointment you have faced in life or your career? How did you react? What did you learn? 9. If I were to ask your boss to describe you what would they say? And finally … This was the most unusual question we were sent but also, potentially, the most insightful. 10. 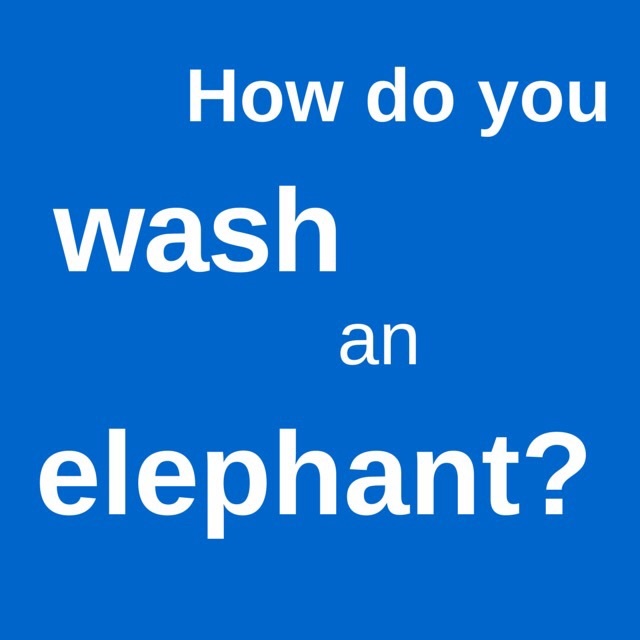 How do you wash an elephant? Just so we are clear, we aren’t actually interested in how to wash an elephant! But questions like this can help guage sense of humour, the individual’s temperament and ability to deal with unforeseen and unusual challenges. In addition, you can measure the candidate’s ability think on his/her feet as well as their analytical thinking, creativity and problem-solving skills. Obviously there is no right or wrong answer to this question. But the way in which the individual answers the question can reveal a great deal about their personal characteristics. Again, thanks to everyone who contributed. We are sure that you can think of many more questions and would encourage you to contact us with your feedback. Next time you are interviewing, try out some of the questions and let us know how it went. What are the technologies of the future? Would you move in with someone after 3 one hour dates? Executive Career Development – How To Use Your Network.